Though measures are already in the works, much more remains to be done. There has been a great deal of movement in the past 12 months in acting to reform Taiwan’s outdated, slow, and inhibiting immigration policy. Two plans have been unveiled recently and, if implemented, could have important and dramatic effects in attracting and retaining foreign talent in Taiwan. 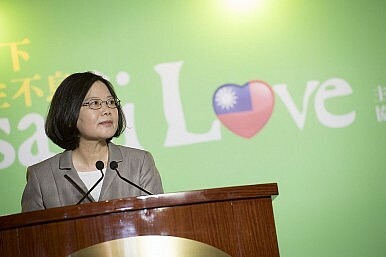 They would also help to address the serious demographic and economic challenges faced by Taiwan. Over the last 25 years, the demographic landscape of Taiwan has changed dramatically. In March 2015, the Taiwanese government revealed that Taiwan’s working population would reach its peak of 17 million in 2015; the number of workers would start shrinking by 180,000 annually in 2016. If nothing is changed, the working population will fall to 9 million in 2060, or just 50 percent of the total population. This trend poses a serious threat to national development. Relevant government agencies have been directed to reassess policymaking in the areas of education, industrial development, social services, and immigration. Immigration policy is one of the best ways Taiwan can revolutionize its workforce and simultaneously address both demographic and economic challenges. Until now, it has been underutilized by the Taiwanese government. Two new plans were unveiled by the Taiwanese Government in 2016, the New Southbound Policy Promotion Plan (covered here by The Diplomat) and the National Development Council’s Plan for Retention of Talent in Taiwan. Together, these plans address concerns raised by many that the Taiwanese immigration system provides disincentives for foreigners to live and work on the island. The New Southbound Plan aims to develop more comprehensive relations between Taiwan and 18 countries in the Asia-Pacific (ASEAN’s 10 members, plus India, Sri Lanka, Pakistan, Bhutan, Nepal, Bangladesh, Australia, and New Zealand). Broadly, the purpose of the plan is to “pursue bilateral partnerships and expand exchanges of personnel, capital, technology, culture and education” with these countries. The specific measures in the New Southbound Plan should make it easier for residents of each of these countries to come to live and work in Taiwan. Visa rules for individuals from ASEAN member states Cambodia, Indonesia, Laos, Myanmar, the Philippines, and Vietnam (and India) were relaxed starting September 1, 2016. Passport holders from these countries who have been issued a visa from Australia, Canada, Japan, Korea, New Zealand, Schengen countries, the U.S. or the U.K. will be eligible for a three month multiple-entry visa, allowing single stays of up to 30 days. This is following the success of similar policies in place for citizens of Malaysia, Singapore, Thailand, and Brunei. The plan will also expand scholarships to draw more students from ASEAN and South Asia. The government hopes to increase the number of Southeast and South Asian students in Taiwan by 20 percent each year, to reach almost 60,000 by 2019. Other important measures the plan outlines include the establishment of a points-based system allowing residency extensions for eligible foreign professional or technical workers in Taiwan, and providing university admission priorities to students speaking Southeast Asian languages. Issuing six month intern visas to recent undergraduates of foreign universities, with an extended stay of maximum one year. Issuing “Personal Employment Passes” to high level foreign professionals. Permitting foreign spouses to engage in full-time or part-time work. Removing the renunciation requirement for high-level professionals and conditionally permit dual nationality. Amending the Immigration Act to permit spouses and minor children of applicants for permanent residents to apply for permanent residency simultaneously. Simplifying visa applications by creating a single online platform for foreign professionals to obtain visas, Alien Residency Cards, and work permits and by accepting English-language documentation and eliminating the Chinese translation requirements for authentication of visa documents. In addition to visa and residency reform, the NDC’s plan includes other important proposals to reform employment, banking services, insurance, tax, and lifestyle for international residents. If implemented, these changes will go a long way toward making life simpler and more enjoyable for immigrants in Taiwan. The measures outlined above would thoroughly modernize Taiwanese immigration policy. However, there are a number of issues of concern that have not been addressed in the Plans. First, changes to the work permissions for foreign spouses should include the foreign spouses of permanent residents, not just citizens. The Ministry of Labor has recently permitted foreign spouses of citizens to work full or part time with certain conditions, but not the spouses of permanent residents. Second, the requirement of renunciation of original nationality should be completely eliminated. Currently, it is not possible to be a dual citizen of Taiwan and another country. Law stipulates that one must renounce their original citizenship before being permitted to become a Taiwanese citizen. A bill (904-1846) is before the Legislature to change this, but it is not yet clear if it will pass. Third, there are no proposals to allow for permanent residents or even citizens to sponsor elderly parents to live in Taiwan. This is a common element of immigration policy in many countries and is arguably important for Taiwan to consider. Finally, reconsideration of the “high-level professional” visa category is needed. Foreign professionals with extraordinary ability have been permitted to apply for Permanent Residency (Plum Blossom Cards) since 2006, but less than 50 cards have been issued as of 2016. Any definition of high-level professional must include a rational understanding of the realities of the employment market in Taiwan. This visa class could be better utilized and broadened to allow a greater number of high-level professionals to live and work in Taiwan. Overall, the changes in each of these new plans are overwhelmingly positive for Taiwan, and will help to better embed Taiwan into the fabric of the Asia-Pacific region. President Tsai Ing-wen and the Taiwanese Government have identified areas where Taiwanese competitiveness lacks and are acting to help address these. The demographic and economic challenges faced by the island will also be assisted with these measures. 2016 was a momentous year for Taiwan. If these immigration policies can be implemented in 2017, Taiwan will have another significant year to look forward to. Sinclaire Prowse is a Resident Vasey Fellow at Pacific Forum CSIS, Honolulu. Taiwan’s Newly Reshuffled Cabinet Looks a Lot Like Its Old CabinetOne China, Two Interpretations, and the Third Alternative for TaiwanTaiwan Is Retaking the Initiative With Its New Southbound PolicyForeign Companies Should Give up Their China FantasyWhy Is China Bullying Taiwan?